The Chinese sexagenary cycle was introduced early into Japan. It was often used together with era names, as in the 1729 Ise calendar shown above, which is for "the 14th year of Kyōhō, tsuchi-no-to no tori", i.e., 己酉. Now, though, the cycle is seldom used except around New Year. The era name (年号, nengō) system was also introduced from China, and has been in continuous use since AD 701. Since the Taishō Emperor's ascension in 1912, each emperor's reign has begun a new era; before 1868 era names were often also declared for other reasons. Nengō are the official means of dating years in Japan, and virtually all government business is conducted using that system. It is also in general use in private and personal business. The Japanese imperial year (皇紀, kōki, or 紀元 kigen) is based on the date of the legendary founding of Japan by Emperor Jimmu in 660 BC. It was first used in the official calendar in 1873. However, it never replaced era names, and since World War II has been abandoned. The Western Common Era (Anno Domini) (西暦, seireki) system has gradually come into common use since the Meiji period. Now, most people know it, as well as era names. The official dating system known as nengō (年号) (or, strictly speaking, gengō (元号)), has been in use since the late 7th century. Years are numbered within eras, which are named by the reigning Emperor. Beginning with Meiji (1868–1912), each reign has been one era, but many earlier Emperors decreed a new era upon any major event; the last pre-Meiji Emperor's reign (1846–1867) was split into seven eras, one of which lasted only one year. The nengō system remains in wide use, especially on official documents and government forms. The 1898 law determining the placement of leap years is officially based on the kōki years, using a formula that is effectively equivalent to that of the Gregorian calendar: if the kōki year number is evenly divisible by four, it is a leap year, unless the number minus 660 is evenly divisible by 100 and not by 400. Thus, for example, the year Kōki 2560 (AD 1900) is divisible by 4; but 2560 − 660 = 1900, which is evenly divisible by 100 and not by 400, so kōki 2560 was not a leap year, just as in most of the rest of the world. The Japanese government has announced a new period of year on 2019 April 1, Reiwa. The Heisei Period will end on 2019 April 30 and so the new period of year is expected to start on first of May 2019. The modern Japanese names for the months literally translate to "first month", "second month", and so on. The corresponding number is combined with the suffix 月 (-gatsu, "month"). The table below uses traditional numerals, but the use of Western numerals (１月, ２月, ３月 etc.) is common. January 一月 (ichigatsu) Mutsuki (睦月, "Month of Love alternatively Affection"). February 二月 (nigatsu) Kisaragi (如月) or Kinusaragi (衣更着, "Changing Clothes"). March 三月 (sangatsu) Yayoi (弥生, "New Life"). April 四月 (shigatsu) Uzuki (卯月, "u-no-hana month"). The u-no-hana (卯の花) is a flower, of the genus Deutzia. May 五月 (gogatsu) Satsuki (皐月) or Sanaetsuki (早苗月, "Early-rice-planting Month"). June 六月 (rokugatsu) Minazuki (水無月, "Month of Water"). The 無 character, which normally means "absent" or "there is no", is here ateji, that is, used only for the sound "na". In this name the na is actually a possessive particle, so 'minazuki' means "month of water", not "month without water", and this is in reference to the flooding of the rice fields, which require large quantities of water. July 七月 (shichigatsu) Fumizuki (文月, "Month of Erudition"). August 八月 (hachigatsu) Hazuki (葉月, "Month of Leaves"). In old Japanese, the month was called 葉落ち月 (Haochizuki, or "Month of Falling Leaves"). September 九月 (kugatsu) Nagatsuki (長月, "The Long Month"). October 十月 (jūgatsu) Kannazuki or Kaminazuki (神無月, Month of the Gods). The 無 character, which normally means "absent" or "there is not", was here probably originally used as ateji, that is used only for the sound "na". In this name the na is actually a possessive particle, so Kaminazuki means "Month of the Gods", not "Month without Gods" (Kaminakizuki), similarly to Minatsuki, the "Month of Water". However, by false etymology this became commonly interpreted to mean that because in that month all the Shinto kami gather at Izumo shrine in Izumo Province (modern-day Shimane Prefecture), there are no gods in the rest of the country. Thus in Izumo Province, the month is called Kamiarizuki (神有月 or 神在月, "Month with Gods"). This interpretation is the one commonly cited in western works. Various other etymologies have also been suggested from time to time. November 十一月 (jūichigatsu) Shimotsuki (霜月, "Month of Frost"). December 十二月 (jūnigatsu) Shiwasu (師走, "Priests Running"). This is in reference to priests being busy at the end of the year for New Year's preparations and blessings. Sunday and Saturday are regarded as "Western style take-a-rest days". Since the late 19th century, Sunday has been regarded as a "full-time holiday", and Saturday a half-time holiday (半ドン). These holidays have no religious meaning (except those who believe in Christianity or Judaism). Many Japanese retailers do not close on Saturdays or Sundays, because many office workers and their families are expected to visit the shops during the weekend. An old Imperial Japanese Navy song (月月火水木金金) says "Mon Mon Tue Wed Thu Fri Fri!" which means "We work throughout the entire week." The last (from the 21st to the end of the month), gejun (下旬, lower jun). These are frequently used to indicate approximate times, for example, "the temperatures are typical of the jōjun of April"; "a vote on a bill is expected during the gejun of this month." Tsuitachi is a worn-down form of tsuki-tachi (月立ち), which means "the month beginning". The last day of the month was called tsugomori, which means "Moon hidden". This classical word comes from the tradition of the lunisolar calendar. The 30th was also called misoka, just as the 20th is called hatsuka. Nowadays, the terms for the numbers 28–31 plus nichi are much more common. However, misoka is much used in contracts, etc., specifying that a payment should be made on or by the last day of the month, whatever the number is. New Year's Eve is known as Ōmisoka (大晦日, big 30th), and that term is still in use. 1989: After the Shōwa Emperor died on January 7, the Emperor's Birthday became December 23 and Greenery Day took the place of the former Emperor's birthday. 2000, 2003: Happy Monday System (ハッピーマンデー制度, Happī Mandē Seido) moved several holidays to Monday. Starting with 2000: Coming-of-Age Day (formerly January 15) and Health and Sports Day (formerly October 10). Starting with 2003: Marine Day (formerly July 20) and Respect for the Aged Day (formerly September 15). 2005, 2007: According to a May 2005 decision, starting with 2007 Greenery Day will be moved from April 29 to May 4 replacing a generic national holiday (国民の休日, kokumin no kyūjitsu) that existed after the 1985 reform, while April 29 will be known as Shōwa Day. 2019: Emperor's Birthday not celebrated. The presumably final celebration of Emperor's Birthday during the Heisei era took place on December 23, 2018. Because Crown Prince Naruhito is expected to begin his reign as Emperor on May 1, 2019 and his birthday is on February 23, the next celebration of Emperor's Birthday is expected to happen in February 2020. In contrast to other East Asian countries such as China, Vietnam, Korea and Mongolia, Japan has almost completely forgotten the Chinese calendar. Since 1876, January has been officially regarded as the "first month" even when setting the date of Japanese traditional folklore events (other months are the same: February as the second month, March as the third, and so on). But this system often brings a strong seasonal sense of gap since the event is 3 to 7 weeks earlier than in the traditional calendar. Modern Japanese culture has invented a kind of "compromised" way of setting dates for festivals called Tsuki-okure ("One-Month Delay") or Chūreki ("The Eclectic Calendar"). 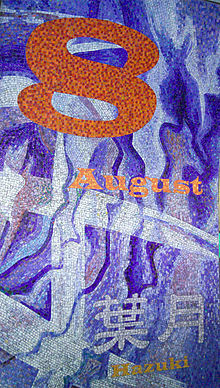 The festival is celebrated just one solar calendar month later than the date on the Gregorian calendar. 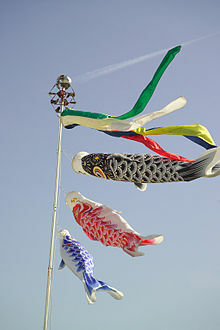 For example, the Buddhist festival of Obon was the 15th day of the 7th month. Many places the religious services are held on July 15. However, in some areas, the rites are normally held on August 15, which is more seasonally close to the old calendar. (The general term "Obon holiday" always refers to the middle of August.) Although this is just de facto and customary, it is broadly used when setting the dates of many folklore events and religious festivals. But Japanese New Year is the great exception. The date of Japanese New Year is always January 1. Some days have special names to mark the change in seasons. The 24 sekki (Hanyu Pinyin: Èrshísì Jiéqì; Japanese: 二十四節気; rōmaji: nijūshi sekki) are days that divide the solar year into twenty four equal sections. Zassetsu (雑節) is a collective term for the seasonal days other than the 24 sekki. 72 Kō (七十二候, Shichijūni kō) days are made from dividing the 24 sekki of a year further by three. These were named based upon the climate of Northern China, so many of the names do not fit in with the climate of Japanese archipelago. But some of these names, such as Shunbun, Risshū and Tōji, are still used quite frequently in everyday life in Japan. Dates can vary by one day either way. Shanichi dates can vary by as much as 5 days. Chūgen has a fixed day. All other days can vary by one day. Shanichi (社日) is the Tsuchinoe (戊) day closest to Shunbun (middle of spring) or Shūbun (middle of fall), which can be as much as 5 days before to 4 days after Shunbun/Shūbun. The following are known as the five seasonal festivals (節句 sekku, also 五節句 gosekku). The sekku were made official holidays during Edo period on Chinese lunisolar calendar. The dates of these festivals are confused nowadays; some on the Gregorian calendar, others on "Tsuki-okure". 雛祭り ( Hina matsuri), Girls' Day. 赤口 Shakkō The hour of the horse (11 am to 1 pm) is lucky. The rest is bad luck. The rokuyō days are easily calculated from the Japanese lunisolar calendar. The first day of the first month is always senshō, with the days following in the order given above until the end of the month. Thus, the 2nd day is tomobiki, the 3rd is senbu, and so on. The 1st day of the 2nd month restarts the sequence at tomobiki. The 3rd month restarts at senbu, and so on for each month. The latter six months repeat the patterns of the first six, so the 1st of the 7th is senshō, the 1st of the 12th is shakkō and the moon-viewing day on the 15th of the 8th is always butsumetsu. ^ "Calendar" at Japan-guide.com; Bramsen, William. (1880). Japanese chronological tables, p. 25. ^ See the page on the history of the calendar at the National Diet Library site: . ^ See list of nengō with the reasons for the changes in Rekishi Dokuhon, January 2008 ("Nihon no Nengo Tokushuu"), pp. 196–221. ^ See "2533 years since Jinmu's accession" in the heading "
^ "kigen" in Kokushi Daijiten, vol. 4 (Yoshikawa Kôbunkan, 1983). ^ "Understanding The Ways That Japan Tells Time". Tofugu.com. July 15, 2014. ^ "「卯月」で始まる言葉 - 国語辞書の検索結果 - goo辞書" (in Japanese). Retrieved November 23, 2011. ^ "「水無月」で始まる言葉 - 国語辞書の検索結果 - goo辞書" (in Japanese). Retrieved November 23, 2011. ^ Entries in the standard dictionaries Daijisen 大辞泉 (Shōgakukan 小学館), Daijirin 大辞林 (Sanseidō 三省堂), Nihon Kokugo Daijiten 日本国語大辞典 (Shōgakukan 小学館). ^ For example, Ian Reader and George J. Tanabe, Jr. (1998). Practically Religious: Worldly Benefits and the Common Religion of Japan. University of Hawaii Press. p. 178. ISBN 0-8248-2090-8. ^ The Nihon Kokugo Daijiten 日本国語大辞典 (Shōgakukan 小学館) lists nine more besides. ^ Nussbaum, "Kichijitsu" at p. 513. ^ "THE JAPANESE FISCAL YEAR AND MISCELLANEOUS DATA" (PDF). Japan International Research Center for Agricultural Sciences. 2003. Retrieved October 8, 2007. This page is based on the Wikipedia article Japanese calendar; it is used under the Creative Commons Attribution-ShareAlike 3.0 Unported License (CC-BY-SA). You may redistribute it, verbatim or modified, providing that you comply with the terms of the CC-BY-SA.